As professors of Canadian History in Toronto’s three universities, we are deeply disturbed to learn that the city is contemplating closing four city museums. We are writing to urge you not to do so. Everyone knows that history is important. All the way from elementary schoolrooms to our university classrooms, the teaching of Canadian history plays a vital role in the creation of a common civic culture. Studies also reveal that people of all ages find their own way into that history through the immediate, familiar stories of their own families and communities. 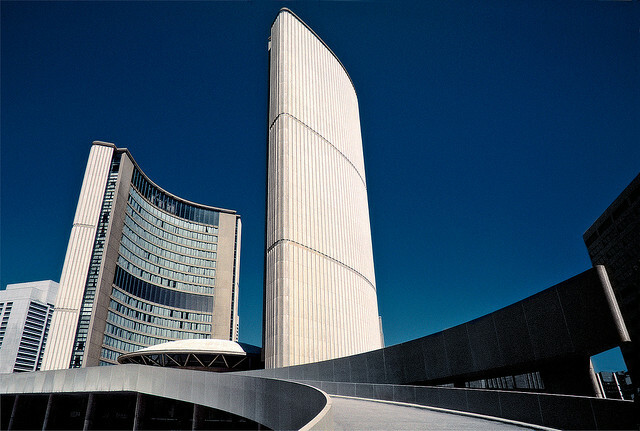 That means that, for the people of this city, the history of Toronto is especially important. Teachers at all levels of the school system also know that understanding our history is enhanced when students can see and touch the past by climbing the ramparts of a two-hundred-year-old fort, sitting by the fire in a nineteenth-century tavern, taking a lesson in an old schoolhouse, or admiring the splendour of a 1920s mansion. Every year, school tours to historic sites give thousands of Toronto students this experience of stepping into the past, as a direct outreach from their classroom curriculum. Many more people continue to explore their local history long after they have left school by visiting Toronto’s heritage sites. A quarter of a million visitors a year pass through the city museums. Toronto has the unenviable reputation of being almost the only major city in North America without a central city museum. Its ten historic sites provide a more decentralized, yet nonetheless fascinating panorama of the past. Closing the four that have been named in the media would shut down Torontonians’ ability to discover first-hand the nineteenth-century worlds of schooling (Zion Schoolhouse), tavern culture (Montgomery’s Inn), and genteel rural life (Gibson House) in their city. They would lose the opportunity to see parts of the city’s enormous collection of art and artefacts that regularly appear in the Market Gallery, which is also the only place for more diverse exhibitions without the specific mandates of the other sites. They would also lose contact with the special-event programming run by these museums that makes them a vibrant part of their local communities. It is not all clear what would happen to the buildings and the valuable collections that they house if city funding were removed. These museums incorporate within their walls years of valuable research and meticulous preservation, and house major collections of historical artefacts and records worth a great deal of money. The city cannot afford to let such a rich legacy slip from its grasp. Closing these places would be a false economy. It would damage the cultural life of the city by blocking Torontonians’ access to their heritage. We urge you in the strongest possible terms to keep all Toronto’s museums open and to provide them with the funding necessary to continue providing valuable windows on the city’s past. Knowledge of where we have been is crucial to knowing where we’re going.